This is my first time participating in #Diversiverse with the fabulous blog of BookLust where Chicagoan Aarti has been blogging since 2005. She has some excellent posts about why reading diversely is important and this challenge (I wouldn’t really call it a challenge) occurs the last two weeks of September. All that is required is to read and review one book written by a person of color. I am proud to say that I have read many books by diverse authors and this time thought I would focus on a children’s book. One that I have had my eye on for some time and tracked down at BEA to get my hands on. “Jacqueline Woodson, one of today’s finest writers, tells the moving story of her childhood in mesmerizing verse. Raised in South Carolina and New York, Woodson always felt halfway home in each place. In vivid poems, she shares what it was like to grow up as an African American in the 1960s and 1970s, living with the remnants of Jim Crow and her growing awareness of the Civil Rights movement. Woodson’s eloquent poetry also reflects the joy of finding her voice through writing stories, despite the fact that she struggled with reading as a child. 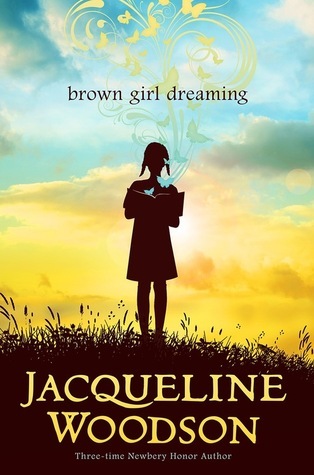 Brown Girl Dreaming by Jacqueline Woodson (August 28, 2014) is many things. 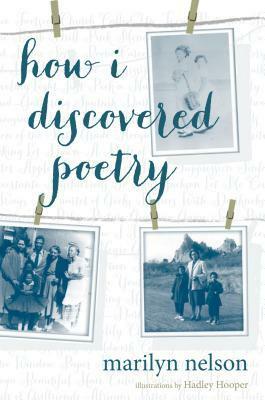 It’s poetry, a memoir, vignettes of what it was like growing up in the country and city, family love and descriptions of the surroundings around her seen through the eyes of a child. She beautifully expresses what it was like to experience first-hand, the different treatment of African Americans in the North and South. But what stood out to me most was the strength and sincere love felt within her family. The warmth radiated off the pages. Like the cover, I felt every time I opened the book I was drawn in to some sort of spell. Gorgeous prose! Simply breathtaking. This collection of poetry should be savored and reflected upon. I would love to see this required reading in schools, grades 4 and up and look forward to sharing it with my own children. This post might be short but I feel like this is the sort of book to be experienced personally. Tags: #diversiverse, Brown Girl Dreaming, Children's Literature, poetry. Bookmark the permalink. This was a popular choice for Diversiverse and I’m so glad! I probably never would have thought to pick up a novel written in verse otherwise. Yes, I am seeing some beautiful reviews for it.